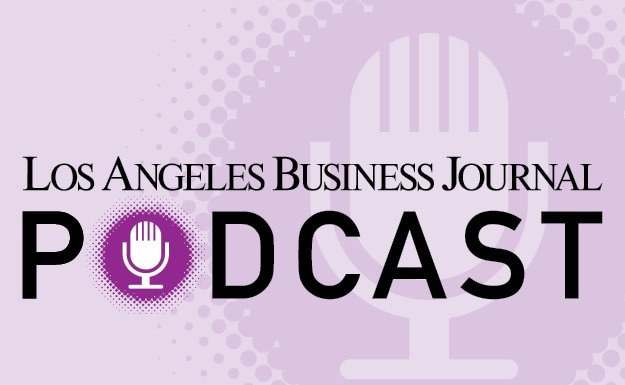 Los Angeles Business Journal’s Book of Lists is our annual compilation of the weekly lists featured throughout the year. Covering everything from financial institutions and non-profit organizations to real estate developers and ad agencies, the lists provide a look into the diverse businesses in Los Angeles county. In 2018, Los Angeles Business Journal’s annual Book of Lists franchise added a new element – coverage of a theme that reflects the current pulse of business in Los Angeles. This year’s theme is L.A.’s position on what seems to be the cusp of a golden age in sports entertainment, distinguished by a close-knit group of owners who have played key roles in resurrecting the local scene. A quick glance at the luminaries on our cover and one might wonder if it is a sports magazine or a business publication. The truth is, the two subjects are firmly linked here in Los Angeles. The boost our regional economy and business landscape receive from professional sports teams – and everything that comes with them – cannot be overstated. The Chargers’ and Rams’ arrival in Los Angeles has taken the city from an NFL black hole to a two-team metropolis, and the teams’ relocations here will be felt for years to come. We have seen firsthand how Staples Center revitalized downtown and the business community there. The forthcoming NFL stadium in Inglewood, which will house both the Rams and Chargers, promises a similar rejuvenation for that neighborhood. The $2.6 billion project will cover 298 acres and is scheduled for completion in 2020. Beyond football, the stadium will be used for year-round sporting and entertainment events, including the 2028 Olympic Games’ opening and closing ceremonies. Sports have undoubtedly changed the face of L.A. for the better. It is an unparalleled sports experience that not only adds to the cultural vibrancy of the city, but produces incredible business opportunities. Every venue that houses home games of our exciting teams generates millions of dollars in revenue, numerous jobs and an infusion of social and economic vitality into the surrounding neighborhoods. Los Angeles Business Journal’s Book of Lists puts forth the businesses and organizations that excelled and emerged at the top of their respective fields. Assembling this volume is a year-long effort that involves working with literally hundreds of businesses, government agencies and local associations, along with exhaustive due diligence and data analysis by our editorial department, led by Editor Jerry Sullivan, Managing Editor Henry Meier, and Research Director Joshua Niv. I thank each of them and the rest of our outstanding newsroom staff for their superb work this year, as I do our tireless production department led by Production Director Nina Bays. I’d also like to recognize our advertising team for their dedication and hard work. After all, it is our advertisers and sponsors who help make this book a reality. Special thanks are also due to book sponsors American Airlines, California State University, Northridge and East West Bank. LOS ANGELES HAS ALL THE LOOKS OF A GOLDEN AGE IN SPORTS ENTERTAINMENT. The Dodgers just made the World Series, there are two NBA teams scrapping their ways to new competitive footings, the Sparks are a cornerstone of the WNBA, a decades-long NFL drought has ended with the arrival of two football franchises, two professional soccer teams now call the city home, the Kings remain a force to be reckoned with in the NHL, the Olympics are on their way, and UCLA and USC continue to be part of the national conversation in basketball and football. Add the advent of e-sports – Riot Games’ League of Legends world championships have packed stadiums from Staples Center to the Birds Nest in Beijing – and every base appears to be covered. What stands out in all this activity is the strikingly close-knit group of owners who have played a role in reviving the L.A. sports scene. Peter Guber and Magic Johnson, who are part owners of the Dodgers, also have stakes in Team Liquid, an e-sports franchise. They have been joined by Riot Games co-founders Marc Merrill and Brandon Beck in the ownership group behind the newly minted Los Angeles Football Club. Jeanie Buss, chief executive and controlling owner of the Lakers, threw a dinner for Chargers owner Dean Spanos the day after he announced his team would relocate from San Diego. Dan Beckerman, who as chief executive of AEG oversees the Kings, the Galaxy, Staples Center and Stub Hub Center, also counts the Chargers, Clippers and Lakers as tenants. Stan Kroenke owns an e-sports franchise in the Overwatch League. Steve Ballmer is at work on plans to move his Clippers next to the $2.6 billion stadium Kroenke is building for the Rams in Inglewood. Casey Wasserman, meanwhile, has ties to the sports world that extend beyond his Wasserman Media Group thanks to his role in landing the 2028 Olympic Games. 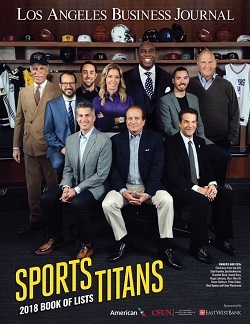 The Business Journal sat down with these leading sports figures of the Los Angeles landscape to talk about the dynamism of the market, the drivers behind this resurgence and the opportunities yet to come. Edited excerpts of the Q&As follow – and all of that sets the table for our annual Book of Lists, the leading source of data for the community of business in Los Angeles.